Wouldn’t a soak in natural hot springs feel good right about now? Sol Duc Hot Springs are located in the Olympic National Park, about an hour beyond Port Angeles, WA. It is a rustic paradise. Leave your cell phone at home and journey to a place where the main activities are soaking in mineral hot springs, hiking in the Olympic Mountains, and breathing in the fresh air. Cabins are tucked among towering evergreens and along the Sol Duc River. There are non-kitchen cabins and cabins with kitchens; some sleep up to five people, some accommodate as many as ten. Come for a romantic getaway with one special person, or gather a group of friends for a weekend of fun. If you are traveling from the Seattle area, you’ll pass through Port Angeles on your way to the Sol Duc Hot Springs. 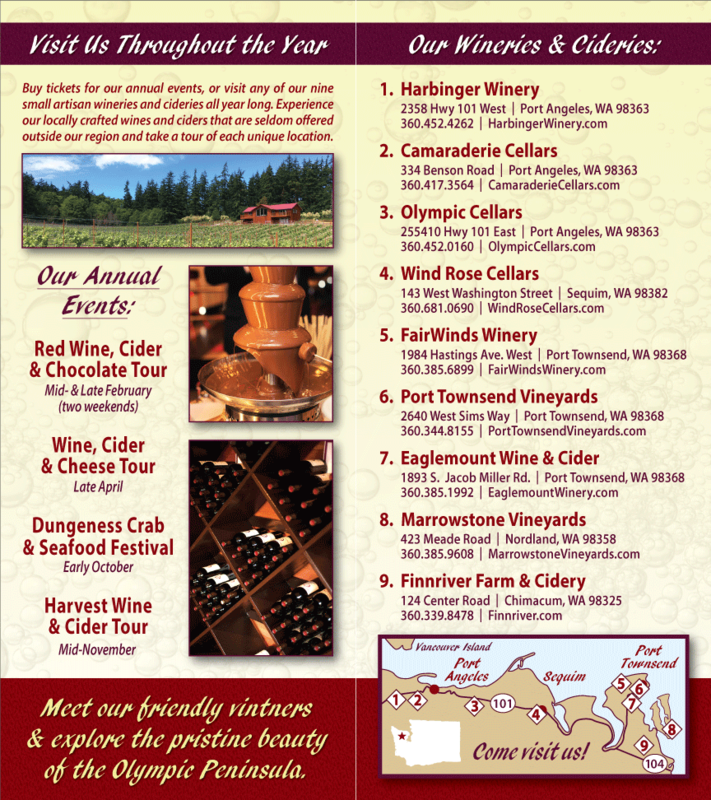 Take a few moments to stop at the Washington State Wineries there for wine tasting. You won’t want to travel into the heart of the Olympic National Park without a few bottles of delicious Washington State Wine. The first winery you’ll pass is Olympic Cellars, which is just east of Port Angeles in a lovely old barn. Black Diamond Winery is three miles outside of the heart of Port Angeles, beautifully situated on 20-acres overlooking the Tumwater Creek. Camaraderie Cellars is a lush, intimate space just two miles west of Port Angeles. Harbinger Winery is in a wonderful converted ex-logging truck shop, right on 101 west of Port Angeles. Stop by all four Port Angeles Washington Wineries; you’ll need a good deal of wine, for soaking in hot springs creates great thirst. On your way back home, you can stop by and pick up a few more bottles of your favorites. Bring Washington State Wine to Sol Duc Hot Springs. 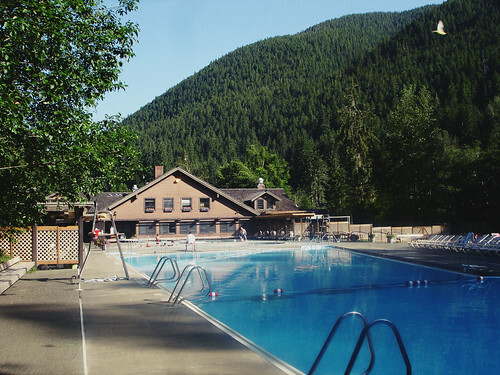 To make a lodging reservation, visit Sol Duc Hot Springs.